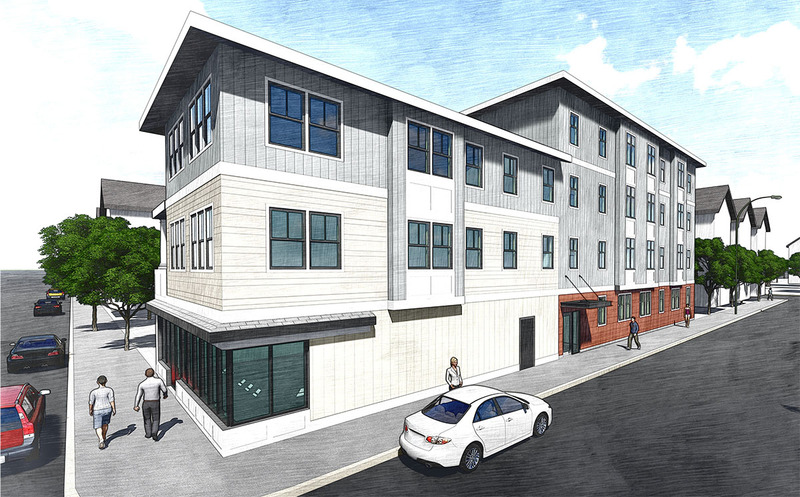 The City Plan Commission is reviewing plans for rezoning and construction of a new 4-story building on Peidmont Street at thier January 15th meeting. The plan calls for the renovation of the existing building at the corner of Atwells Avenue and Piedmont Street, the demolition of an existing building at 16 Piedmont Street, and construction of a new 4-story building attached to the renovated building on the lot remaining from the demolished building and a lot currently used for parking. I lament that a building is coming down for this, we have plenty of vacant land, there is a dirt lot right across the street. But, presumably the developer of this project does not own that dirt lot and people can only develop the property they own. 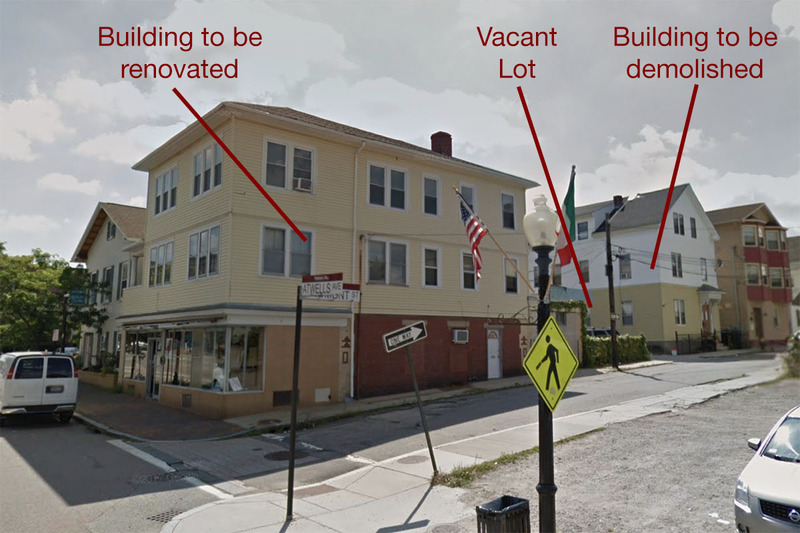 I think the renovations to the existing building on Atwells are an improvement of its current condition, and a vacant lot will be filled in on Peidmont Street (and it looks like a few trees will be planted). The design of the new construction is pretty typical of infill going up in other cities, and proposals we’ve seen for such here (ZDS has a look for sure). I don’t love it, but I don’t hate it. The blank wall along the first half of the building along Piedmont is unfortunate, but it is also an existing condition. Ground floor retail doesn’t often want all walls to be glass, they need walls for merchandising and back of house things. Overall I think this looks fine and I hope it moves forward. Maybe a renovated/new building on this corner will prompt the owner of the dirt lot across the street to develop it to a higher use than parking. Download the presentation for this project to CPC. Includes floor plans and elevations. The blank wall will be filled with ugly graffiti after just a few days. The building has nothing creative or unique about it. But better than an empty lot, I suppose. Every building does not have to be creative or unique. You get mostly ugliness when architects keep trying too damn hard. Our most charming streetscapes happen to be full of generic copycat houses. This new building is less pretty than a faithfully preserved century old building, but a lot prettier than the typical triple decker stripped of ornament and crappily vinyl sided. In other words, a worthy contribution to the neighborhood. When the golden age arrives, projects like this will make zero news and zero controversy. I’m on board with this, but what keeps throwing me off is that the rendering displays the building as it would exist on a level road, but this road has an incline. It’s basically impossible for the finished product to look like this rendering. They didn’t waste any time. Building is on progress. The house in front is also being remodeled. Same owners? Or coincidence?